Eve’s first computer opened her eyes to the ways technology can connect people. For her, it’s a tool that can make the world a better place. Since those early days in front of her family’s Gateway 486 computer, Eve has excelled in many roles — from Solutions Engineer Manager to Product Manager and Network Technician. She once led a team of developers to create a system facilitating the management of the second largest private network in the world, successfully juggling the requirements of ten stakeholders. Eve brings the same energy to every challenge. 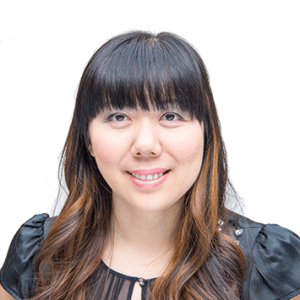 At MentorMate, she ensures that project managers, designers, and developers provide pragmatic solutions that meet clients’ unique business needs. Eve advocates for women and girls in STEM-related fields as a board member of Technovation[MN] and is a judge for MN Cup competition. International Women’s Day celebrates the many achievements by women the world over. Each year, the UN chooses an official theme and this year we’re extra excited about it as it places a distinct focus on gender equality in technology and innovation. What is a Requirements Gathering Template Worth? Great ideas for software are doomed if the requirements remain unclear. But where do you start? While a pre-defined template can offer important guidelines for your project, technical teams need more than just a template to successfully develop software. The best software starts with a conversation. Eve is a hands-on problem solver. She enjoys providing MentorMate’s clients with excellent experiences and works closely with her team to craft proposals that ensure successful outcomes. Eve is serious about meeting her clients’ needs, but that doesn’t stop her from having fun in and outside of the office. In Agile development, translating requirements and features into user stories are the foundation of any successful project. They describe who will be using a feature, what they will be doing and why they are doing it. So, how do you write them effectively? Considering Apple Watch? You Should Totally Buy a Rolex. Last week you read about the slick design and high integration the Apple Watch enables between your other smart devices. That’s all fine. It’s great even. But, is it really worth the price. Let’s explore. TechnovationMN marked the second opportunity for young women to design, code and pitch mobile apps encouraged and critiqued by panels of industry professionals. I experienced it all from the judge’s panel.